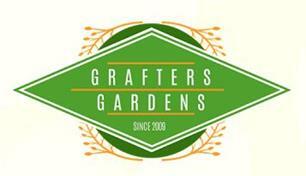 Grafters Gardens - Landscaper based in Hertford Heath, Hertfordshire. Hi my name is Colin and I have worked in construction and landscaping for over 30 years working on all aspects of the trade and are CRB checked. I also worked with charities WMCA and Water Aid helping children in Africa and Thailand. Something I am very proud off. We are a small but professional landscaping company based in Hertford Heath who have been transforming gardens since 2009. We have an extensive portfolio of before and after photos/videos for clients to view along with testimonials going back to 2009. My team consists of individual tradesmen who bring a variety of skills meaning only the relevant trades are allocated to each job and never unqualified people will carry out works. Why not also visit my FB www.facebook.com/grafters.gardens to decide if we can be of help with your project/ideas.